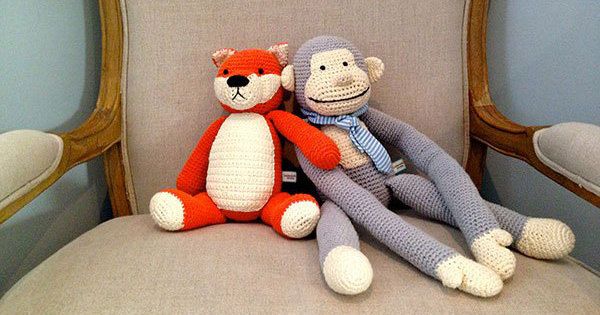 Creating a beautiful nursery for one baby is enough of a task – but what about two? 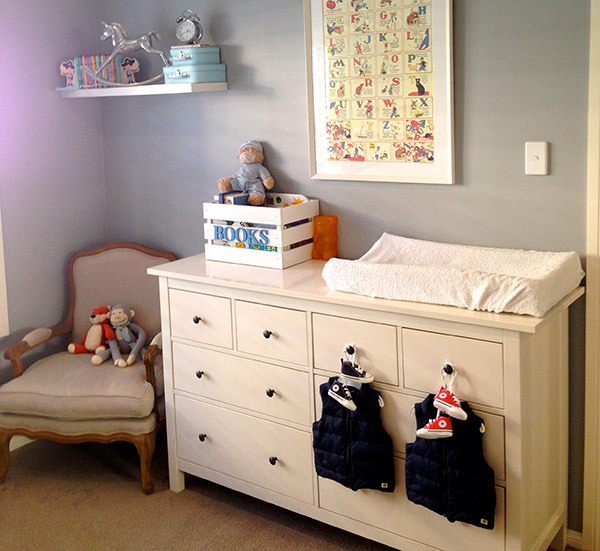 Click through to see how one pair of parents created a beautiful nursery space for their twin boys. 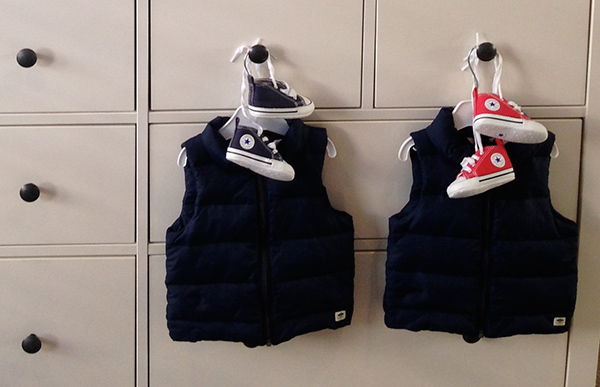 After the first birthday of their identical twin sons, Alanna and her husband set to transforming Max and Marley’s baby nursery into a more boyish space. Alanna says of her decorating inspiration: When the boys turned one, I felt it was time to update their ‘baby’ nursery into a room fit for two little boys. I wanted it to be playful and boyish, but practical without being cluttered. I bought the alphabet poster when I was pregnant (and didn’t know their gender) from a gift shop in Gerringong on the New South Wales South Coast. It only cost $10 but I loved it so much I had it professionally framed. I loved the vintage look and bold colours. I focused on the red, blue and yellow in the poster and went from there. The wall colour is a perfect choice. The bold Dulux Aloof Grey creates the perfect contrasting background for the white furniture to pop and won’t date anytime soon. It allows for new colours to be added down the road too without worrying about clashing. 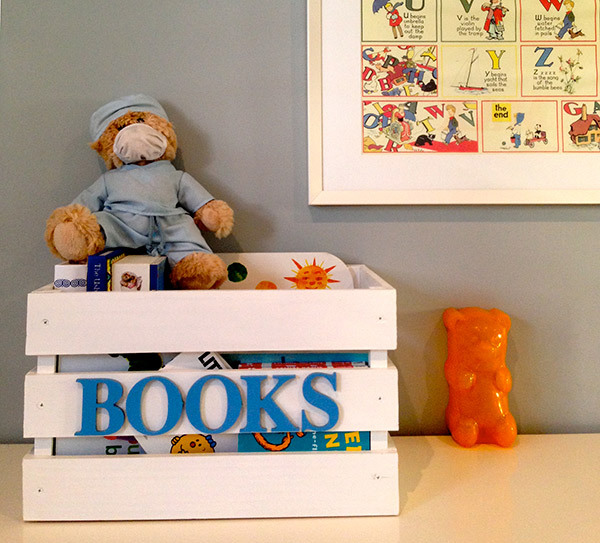 Not parents to shy away from a bit of DIY, Alanna and her husband created their very own clever book storage crates themselves. 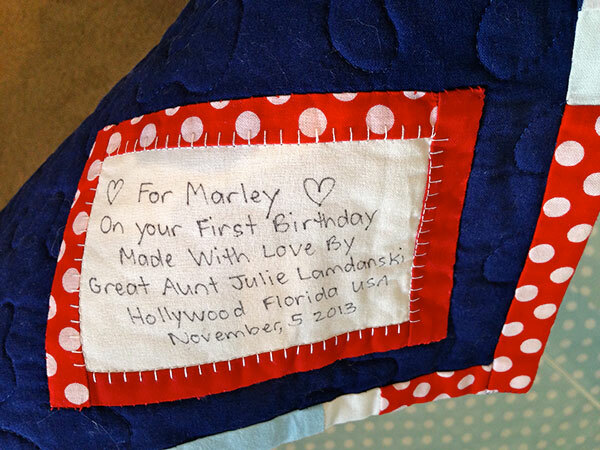 My eye was immediately drawn to the gorgeous quilts hanging on Max and Marley’s cots, Alana says of the twin quilts: The patchwork quilts were made by the boy’s Great Aunt in the US as a special first birthday gift. They are beautiful and will be treasured for years to come. 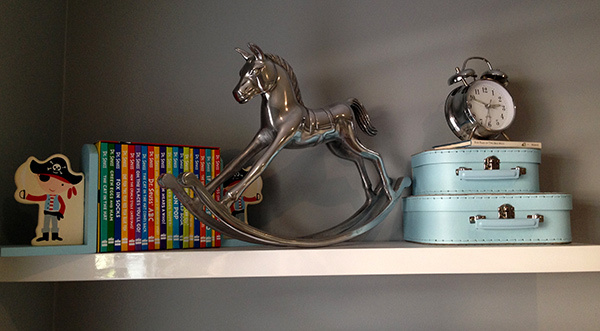 We absolutely love the room you’ve created for your twins, Alanna. 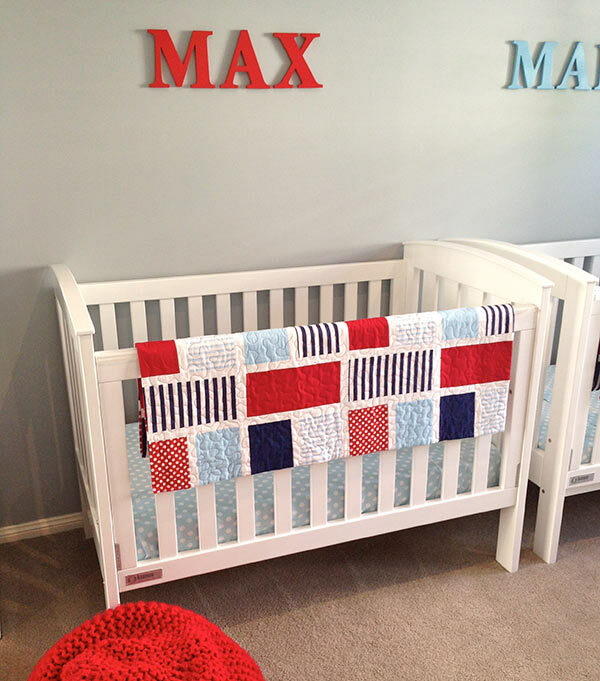 We’re sure that Max and Marley will enjoy snuggling in their beautiful quilts at any opportunity!